Join Our Community Order Now! 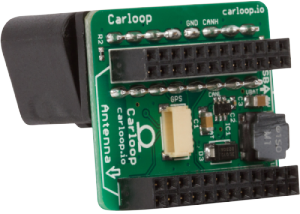 Carloop is a 100% open source development kit that lets you connect your car to the cloud via 3G, Wi-Fi or Bluetooth. Start with our sample apps to track your car with GPS, log mileage on an SD Card or check your engine codes. Go for full customization by writing your own Carloop app. See what others are building on the community forum. We make the adapter so you can focus on the fun part, making applications that read data from your car in realtime. Ready to connect your car to the cloud? Carloop works with every car and it’s designed for both beginners and experts alike. Visit the community to get help getting started. We also have all our code on our GitHub repository. Carloop is completely open source and supported by a community of car hackers ready to answer questions. 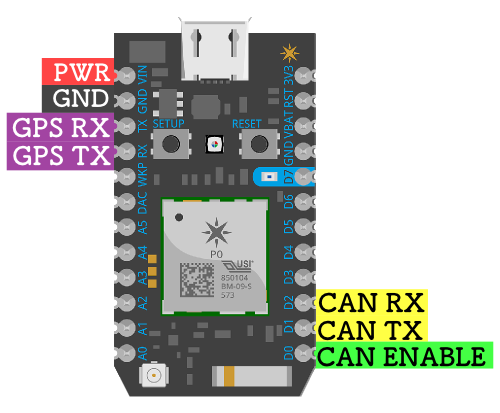 Want to look at how Carloop connects to the OBD port? The schematics are available. 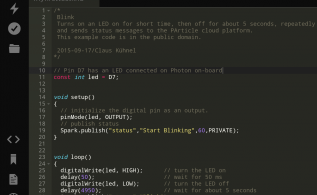 You can even modify the board to fit your specific project! Check out the Carloop app directory for apps you can flash to your Carloop right now and code snippets to help you build your own apps.